5pm – 10pm . Free admission. Free parking. 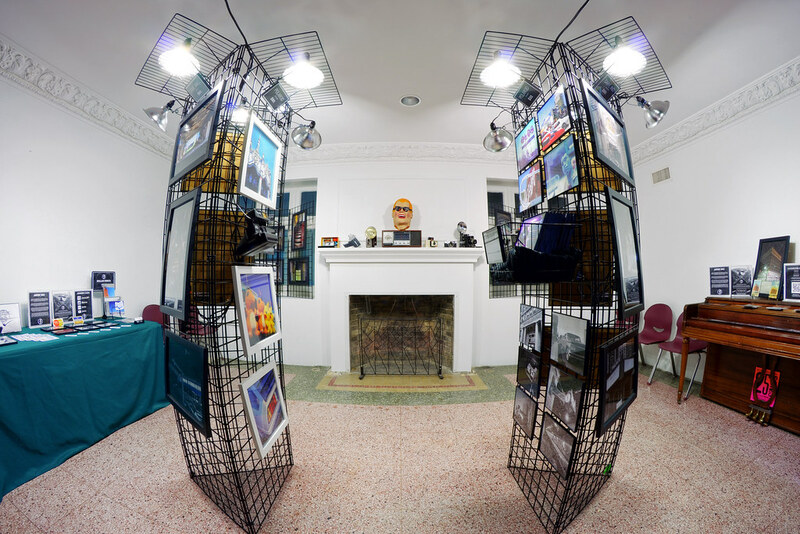 The Darkroom is an immersive popup gallery that features the latest printed works of the [jonrevProjects] — each print being a one-of-one feature which will never be duplicated when sold. Journey into an off-limits world of art, history and adventure every month during ArtWauk! Abandoned series (Gary, Chicago, Waukegan, Cinema, Relics and elsewhere); Waukegan, IL; Polaroid series; Night. 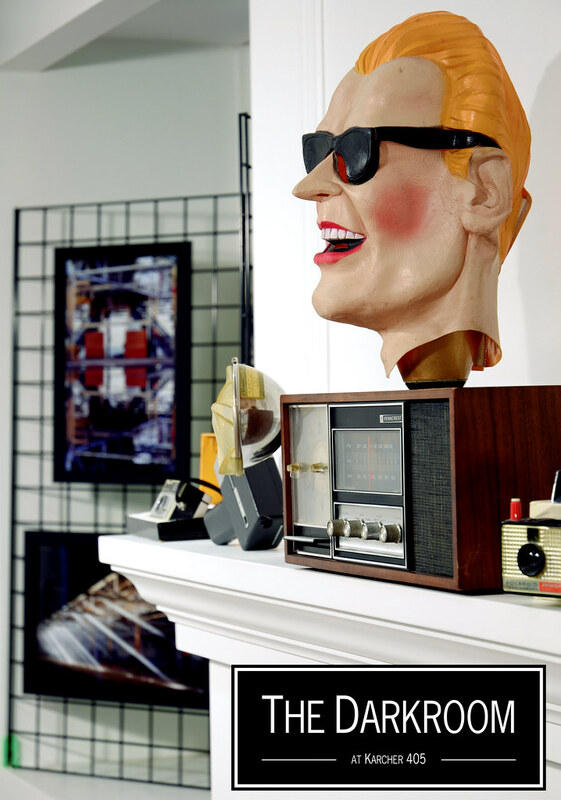 Located behind the historic Karcher 405 Gallery, every third Saturday of the month. Cash, check, plastic, Paypal all accepted on-site. 12×18″ framed*, matted: $100 ea. POLAROID 12×15″/8×8″ framed*, matted: $40 ea. POLAROID 8×10″ framed: $40 ea. *Actual print sizes shown. Finished, framed product: add two inches to each dimension. [jonrevProjects] anchors the inaugural Wauk the Mall art walk at Belvidere Discount Mall with a photo gallery feature under the most-unique of settings: the former Belvidere Mall Cinema, a virtually-untouched General Cinema theater of the mid-twentieth century that originally shuttered in 2003 and had been mothballed ever since. Printed work from most of our projects was featured, alongside artifacts found throughout the theater and the debut of a special eight-piece print series on abandoned movie theaters (“Cinema”). The mid-century lobby and one of the theaters were opened to public tours for the first time in sixteen years. 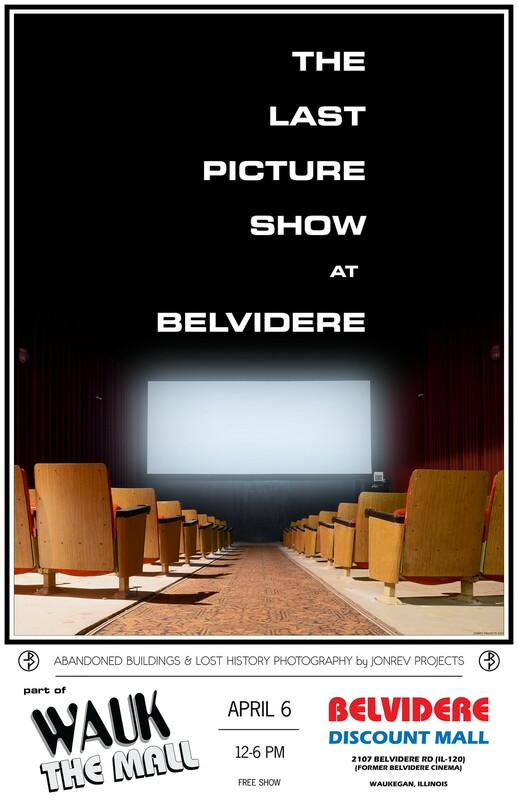 [jonrevProjects] thanks Belvidere Discount Mall management and Austin Cantu for making this unique dive into lost local history possible. 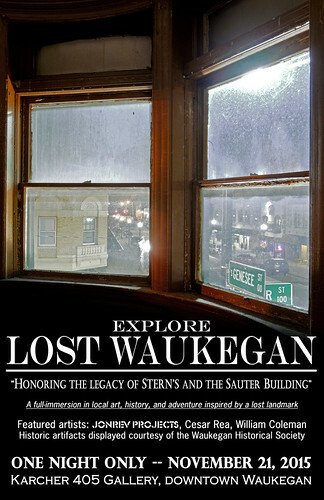 A cooperative effort between the [jonrevProjects], resident-artists of the Karcher Artspace Lofts, and the Waukegan History Museum honoring the legacy of the F. Sauter Building, which stood at 37 S. Genesee Street in downtown Waukegan from 1894-2014; and was home to Stern’s Store for Men from 1912-2010. -Photography, research, and recovered artifacts by the [jonrevProjects] from the infiltration of Stern’s and the Sauter Apartments in 2012 and 2014, respectively. See the Sauter/Stern’s Building as Never Before!